This can be explained by its nine centuries of eventful life and in particular because the Knights have often been forced to move from countries where they once played a leading role. 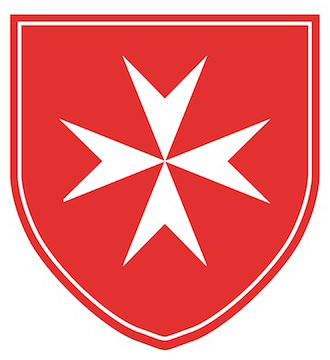 The official name of the Order of Malta is the Sovereign Military Hospitaller Order of St. John of Jerusalem of Rhodes and of Malta. Abbreviations of the name – Sovereign Military Order of Malta, Sovereign Order of Malta, or Order of Malta – are often used for legal, diplomatic or communication purposes. The knights were initially called the Knights Hospitaller (or Hospitallers) to describe their mission. But they were also called the Knights of St John because of the Order’s patron saint, St. John the Baptist, and also of Jerusalem because of their presence in the Holy Land. Also used in the past was the term The Religion to emphasise the characteristic of religious confraternity. After conquering the island of Rhodes in 1310, they became the Knights of Rhodes. In 1530, the Emperor Charles V ceded the island of Malta to the Knights. Since then the Order’s members are commonly referred to as the Knights of Malta. To protect this heritage, the Order of Malta has legally registered 16 versions of its names and emblems in some 100 countries.